WAILA mod allows you to see basic information about the blocks and mobs existing in Minecraft PE. Today's version contains everything that was added to MCPE 1.1.4, but in addition to the original objects, the mod is able to identify blocks from modifications. This feature will perfectly help those who have installed the Industrial Craft mod or any other tech one where there is a huge variety of very similar but completely different technical blocks. 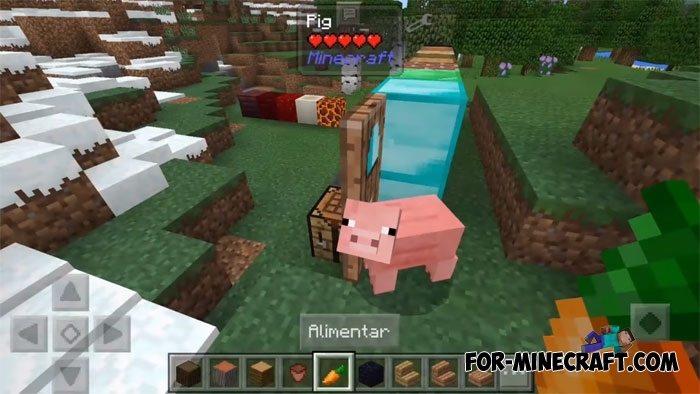 You will see the name of the block and the name of the modifications (if you have a mod installed), the mobs display the name and the amount of health in real time. What Am I Looking At has a list of settings through which you can optimize the mod as you want. How to install the WAILA mod? Download the mod and install BlockLauncher (it is necessary to install .modpkg modifications).